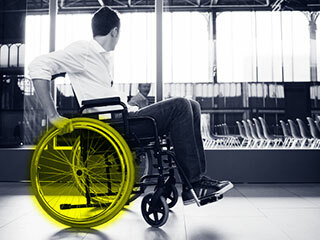 A spinal cord injury is as serious as it is feared. A complete spinal cord injury causes a total loss of function below the injury. Quadriplegia (tetraplegia) and paraplegia are common-known results of a spinal cord injury, but they are other less-known consequences. In an incomplete spinal cord injury, part of the cord is damaged leaving victims with some feeling and movement. Spinal cord injuries are treated by looking at the individual’s long-term physical and emotional care. Consideration must be given to the future cost of care and loss of earning capacity. Experts familiar with these injuries can make the appropriate recommendations and experienced counsel will understand how to manage claims of this complexity. At MotorcycleLawyer.ca, we have dealt with spinal cord injuries and understand the challenges ahead for you and your loved ones. Our focus is to figure out how the accident has affected your life and what the future holds to find you the fairness you deserve. If you or someone you know has been injured, call MotorcycleLawyer directly at 604-612-6848 or toll free at 1-844-BIKE-LAW or send an email for the location nearest you and to receive your free initial consultation.